Having to take a private call in a crowded workplace can be pretty awkward, but thanks to BolxVox, a special mask-like device that muffles speech, you can now talk as loud as you want without worrying about others hearing your conversation. BloxVox is the brainchild of Greg Umhoefer, a financial technology expert who dedicated the last few years of his life to solving his “favorite” office problem – phone call privacy. Having worked in offices all over the world, Umhoefer constantly experienced this problem first-hand. Whenever he had to make or take a private phone call, he had to get up from his desk, find a quiet place, and often take his laptop and other peripherals with him. He describes the situation as inefficient and “frankly ridiculous”, so after researching the issue and learning that it was common in offices around the globe, he decided to find a practical solution. “After 75 prototypes and countless hours of testing and redesigning, I am thrilled to introduce my solution to a common office problem,” the founder on BloxVox wrote on the Kickstarter crowdfunding campaign page for his unusual invention. So what is BloxVox? Well, it’s essentially a sound-muffling mask that promises to keep your conversation from reaching the ears of eavesdroppers. You just put it over your mouth and secure is around your head with a strap and you don’t need to worry about other people hearing every word you say. 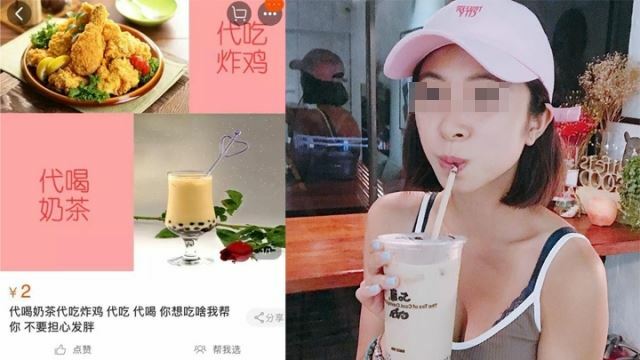 There’s just one problem though – the thing looks a lot like Bane’s iconic mask and even more like a cow’s nose, neither of which is very appealing, especially for professionals looking for phone call privacy solutions. BloxVox is designed to be compatible with headphones and even features a small compartment where you can place your microphone. So even though the your voice is substantially blocked from reaching people nearby, it is perfectly audible to the person you’re actually talking to. Greg Umhoefer hopes to raise $25,000 on Kickstarter in order to get the BloxVox into production, and even though his invention has been laughed up and already turned into an internet meme, the media coverage may just help it reach its crowdfunding goal. Launched earlier this week, BloxVox has already raised $3,526 and the campaign ends on July 21. Early backers get the Bane-like muffling mask for just $50, but Umhoefer says that if BloxVox ever goes into mass production, he’ll try to keep the retail price under $100. 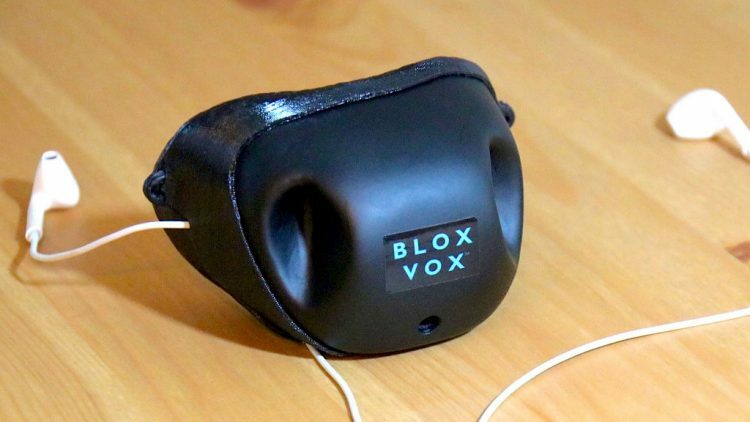 Believe it or not, BloxVox isn’t the world’s first sound-muffling mask. Just last year, Hushme made news headlines for promising the exact same solution for private phone calls.